The DWCA Book Club is on again Friday 6 April, this time discussing the Torchwood graphic novel World Without End, written by Captain Jack himself, John Barrowman, along with his sister Carole. 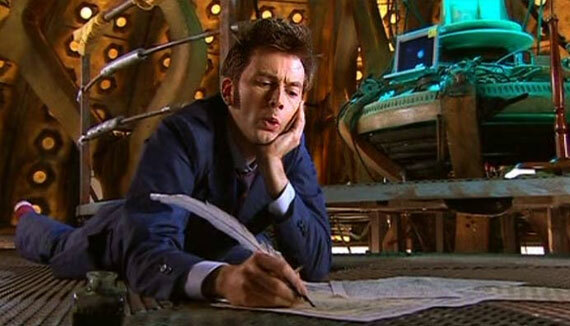 But this isn’t the first time that one of the stars of the Whoniverse has written an adventure of their own. Here’s our list of 12 actors who have also written for the Whoniverse across a host of different media. Appearing as companion Harry Sullivan in Tom Baker’s first six serials as the Doctor, Ian Marter was one of the first to cross the actor-writer divide. 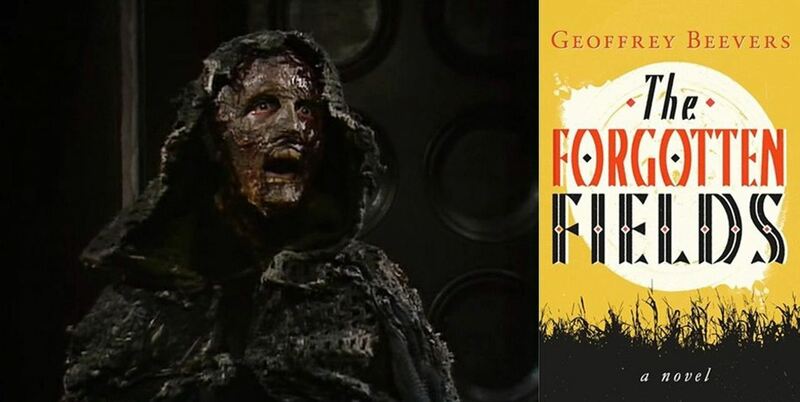 He contributed his first Target novelisation, Doctor Who and the Ark in Space, in 1977, having appeared as Harry in the TV story the book was based on. This was followed by eight further novelisations, including The Sontaran Experiment (another story featuring Harry) and a controversial adaptation of Second Doctor story The Enemy of the World. Marter also wrote an original, Doctor-less novel titled Harry Sullivan’s War, catching up with the character 10 years after his travels in the TARDIS. 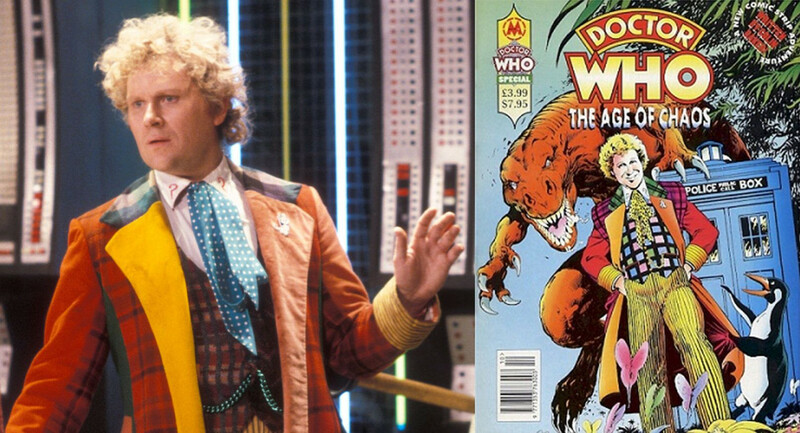 Most famous for portraying the Sixth Doctor, Colin Baker also has an unusually broad writing resume, having written Doctor Who stories in prose (in the form several short stories for Doctor Who Magazine and the Doctor Who Yearbook), on audio (The Wings of a Butterfly, released in Big Finish’s anthology collection Short Trips Volume 1) and as a comic (the 1994 graphic novel The Age of Chaos). The last of these also included a return appearance from Frobisher, a shape-shifting alien companion who often took the form of a talking penguin and remains one of the most popular characters to originate from Doctor Who comics. Best known as Rose’s long-suffering boyfriend (and Martha Jones’ eventual husband) Mickey Smith, Noel Clarke is also an accomplished screenwriter, penning the screenplay for a trilogy of crime thriller films (titled Kidulthood, Adulthood and Brotherhood) and co-creating the forthcoming cop drama Bulletproof for Sky Television. One of his early writing credits is for the 2006 Torchwood episode Combat, which follows Owen Harper as he deals with the recent departure of his lover whilst also investigating a group of wealthy young men running an alien cage-fighting ring. The star of Torchwood has also penned a number of stories for the spin-off with his sister and frequent collaborator Carole. The pair contributed Captain Jack and the Selkie for Torchwood Magazine in 2009 and later wrote the full-length novel Exodus Code, set in the aftermath of the programme’s fourth series. Always keen ambassadors for Torchwood’s return, the Barrowmans have written all installments of Titan Publishing’s Torchwood comic since its launch in 2016. The first graphic novel collection from the range, World Without End, is the subject of this month’s DWCA Book Club and sees Jack in charge of a reborn Torchwood, their headquarters housed in the ocean-faring vessel The Ice Maiden. Barrowman’s co-star has made a more recent leap into writing, authoring two Torchwood audio adventures due later this year through Big Finish. Both focus on David-Lloyd’s character Ianto: Blind Summit depicts his initial recruitment to Torchwood One in London, while The Last Beacon sees Ianto take a camping trip with his abrasive colleague Owen in order to stop an alien invasion. Briggs has made a few low-key appearances in the TV Whoniverse (with a supporting role in Torchwood: Children of Earth and a brief cameo in the docudrama An Adventure in Space and Time), but he is best known for being the go-to voice artist for Doctor Who monsters since the series returned in 2005, lending his pipes (and his ring modulator) to a menagerie that includes Daleks, Cybermen, Zygons and Judoon. Briggs is also one of the most influential people in the world of Doctor Who audio, fulfilling a mulititude of production roles across scores of releases for Big Finish. As a scriptwriter, some of his more notable works include 50th anniversary special The Light at the End, Sixth Doctor regeneration story The Brink of Death and Big Finish’s first ever Doctor Who release, The Sirens of Time. You might not know Barnaby Edwards’ face, but you’re almost certainly familiar with his work! Edwards’ performances as a Dalek operator span every major appearance of the Doctor’s arch enemies since 2005. Outside of his casing, Edwards is a seasoned director at Big Finish and has also dabbled in writing for the company, his scripts including Ice Warrior tale The Bride of Peladon as well as The Emerald Tiger, a Fifth Doctor adventure inspired by The Jungle Book. Banks is another monster actor to cross over into writing. 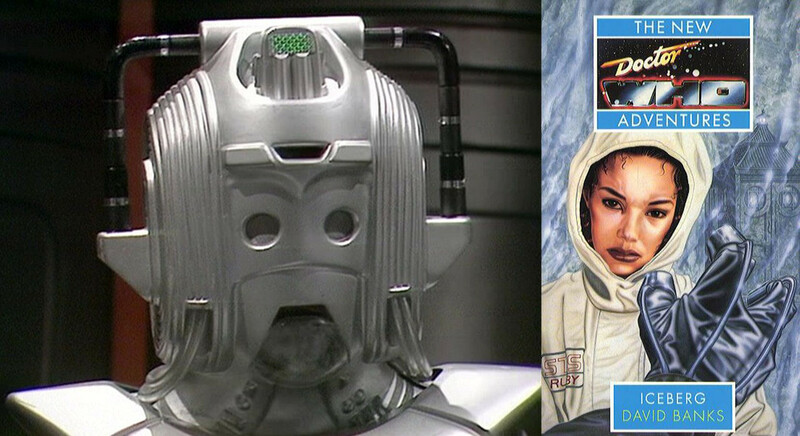 Having portrayed the Cyber-Leader in every Cyberman story during the 1980s, Banks later wrote a non-fiction book on the Cybermen that also fleshed out several aspects of the Cyber-race’s in-universe backstory. He subsequently wrote the novel Iceberg for Virgin Publishing’s New Adventures series, which saw the Seventh Doctor square off against – you guessed it – the Cybermen. Given the programme wasn’t on the air when the novel was published in 1993, Banks was able to get away with a number of adult touches to the story, including rather a lot of naughty words! 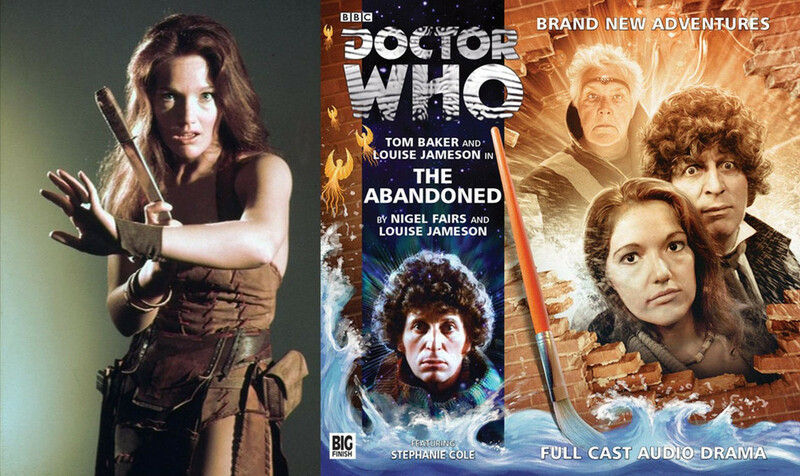 To many Doctor Who fans, Louise Jameson is ‘70s companion Leela: a fierce warrior from the tribe of Sevateem and still one of the Doctor’s most distinctive companions. Jameson has also put her writing talents to use, partnering up with experienced Big Finish scribe Nigel Fairs for Fourth Doctor audio adventure The Abandoned in 2014. Set entirely within the TARDIS, the story sees the emergence of a malevolent presence deep within the workings of the ship. Leela also gets some strong character material in this adventure, coming to terms with the death of her father. He may be known and loved for his turn as Strax the Sontaran Nurse/Butler, but there’s much more to Dan Starkey. Aside from a prosthetic-free appearance as Ian the Elf in the 2014 seasonal special Last Christmas, Starkey is also a frequent voice actor for Big Finish, playing various roles including priests, robophobic security chiefs and, yes, more than a few Sontarans. In 2015, Starkey teamed up with one of Big Finish’s best writing talents, John Dorney, for Terror of the Sontarans, an audio adventure starring the Seventh Doctor and Mel and featuring an adversary that strikes fear into the hearts of the clone warriors. Eleven years after a small role as a UNIT private, Beevers turned in a highly memorable performance as the Master in 1981’s The Keeper of Traken. Despite only one television appearance, Beevers’ decayed, desperate incarnation has been significantly expanded through several new audio adventures with Big Finish. Beevers published his first novel, The Forgotten Fields, in 2013 and is set to make his Whoniverse writing debut later this year with I Am the Master, a Big Finish Short Trip. Perhaps the most high-profile writer on this list, Gatiss’ first professionally published work was the Doctor Who novel Nightshade in 1992. Over the next 13 years Gatiss wrote a further three Doctor Who novels and two Big Finish plays whilst also developing his career as an actor and screenwriter, landing a cult hit with The League of Gentlemen in the late ‘90s. Since 2005 he has written nine TV episodes of Doctor Who and performed in four (most recently as The Captain in Twice Upon A Time). Gatiss was also nominated for a Hugo Award for his screenplay for An Adventure in Space and Time, which formed part of the 50th anniversary celebrations in 2013. His impressive string of credits makes him one of the few people to have appeared in episodes starring four different Doctors; one of the few people to have written episodes for four different Doctors, and certainly the only person to achieve both of these feats! 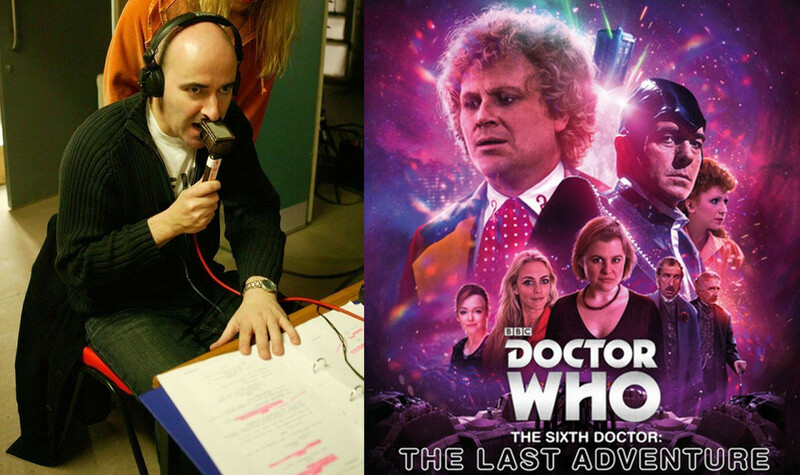 Whilst Davison (aka the Fifth Doctor) hasn’t written anything that could reasonably be included in the Doctor Who canon, he did write and direct The Five-ish Doctors Reboot, an utterly charming tribute to the long history of the programme made as part of the 50th anniversary celebrations and full of more in-jokes and cameos than you can poke a stick at. Like Gatiss, Davison was nominated for a Hugo for his contribution to the anniversary. It’s clear that the contributions of actor/writers to the Whoniverse are many and varied. Some actors have expanded on their onscreen characters, whilst others have made cheeky jokes about them, and others appear to love Doctor Who so much that they have to do more than just act in it. So the next time you pick up a book, press play on a Big Finish audio or sit down to a television episode, make sure you check who wrote it – the results might just surprise you! The DWCA Book Club’s discussion of Torchwood: World Without End is taking place on 6 April – join the conversation by coming to the event or heading to our Facebook page. The Book Club meets once every two months to chat about a given book relating to the Whoniverse. With a vast history of books to choose from, including original novels, comic books, short story collections, biographies and classic novelisations, there’s always something different at Book Club! Keep an eye out on our website for news about future books!